RONDEC bullnose profile and matching corners used to finish the tile edges on the walls, tub surround, shower bench, and to trim the shower niche. DILEX-AHK cove-shaped profile used to create a smooth transition between the walls and floor. 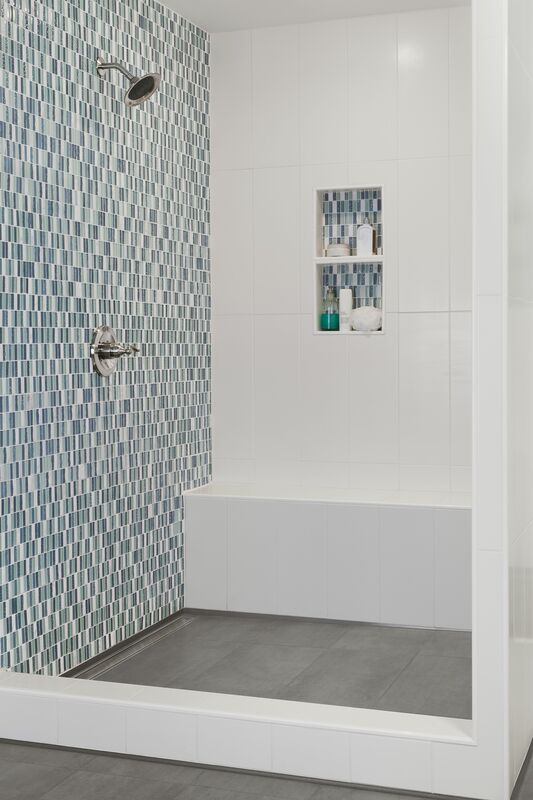 SHOWERPROFILE-S system profile eliminates the need to cut the wall tile to match the slope of the shower base, and allows for an easy installation of the first course of tile along the top edge of the profile. 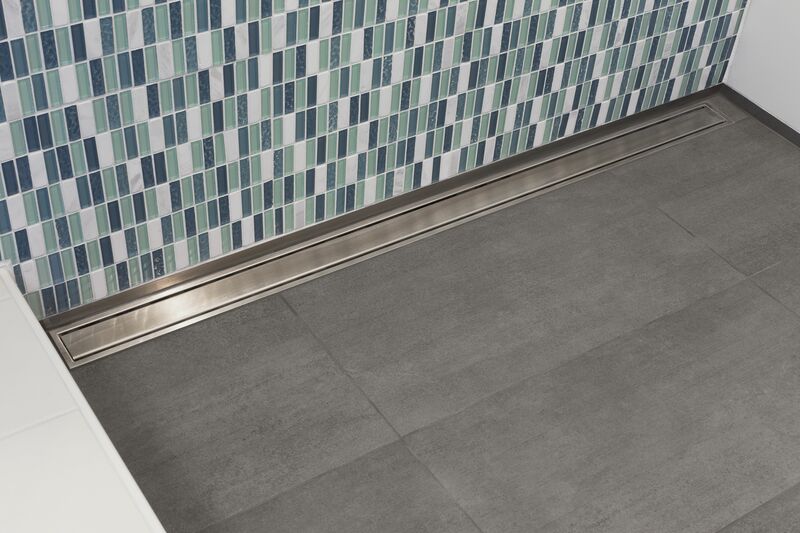 KERDI-LINE linear drain allows for the use of large-format tile on the shower floor. 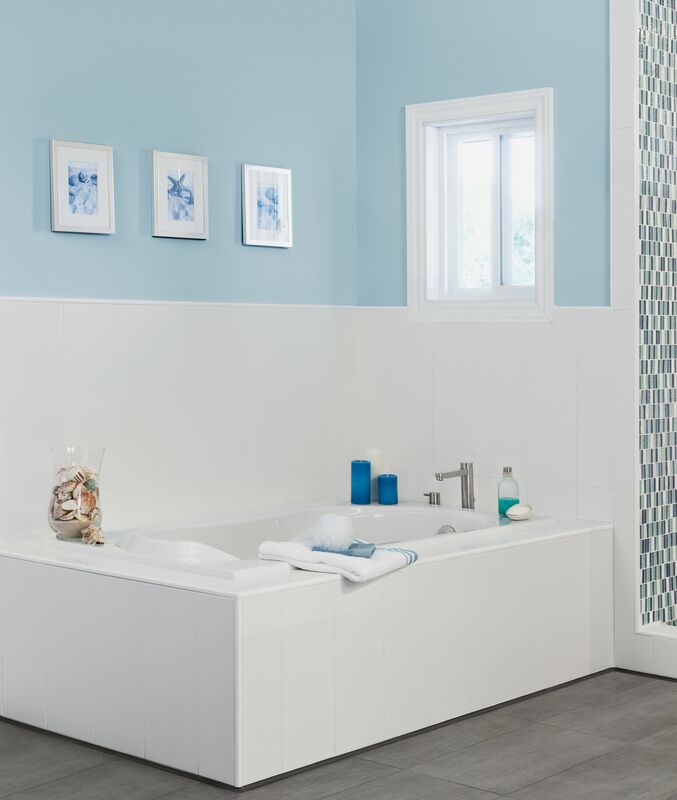 The KERDI-BOARD-SN prefabricated shower niche creates the perfect hub for shampoos and other shower essentials. It is also fully sealed and waterproof, so mold won't creep into your oasis. 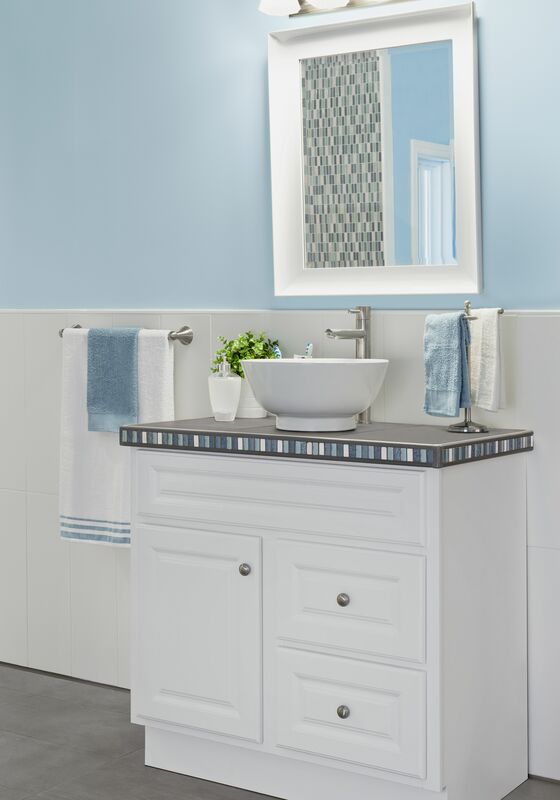 Integrating a bench into your shower is convenient and perfect for a moment of relaxation. 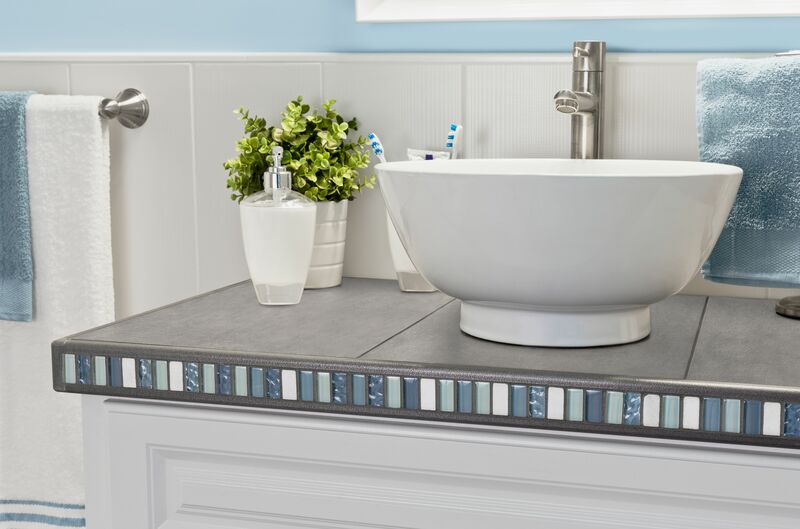 The KERDI-BOARD-SB prefabricated shower bench is easy to install and ready to tile. 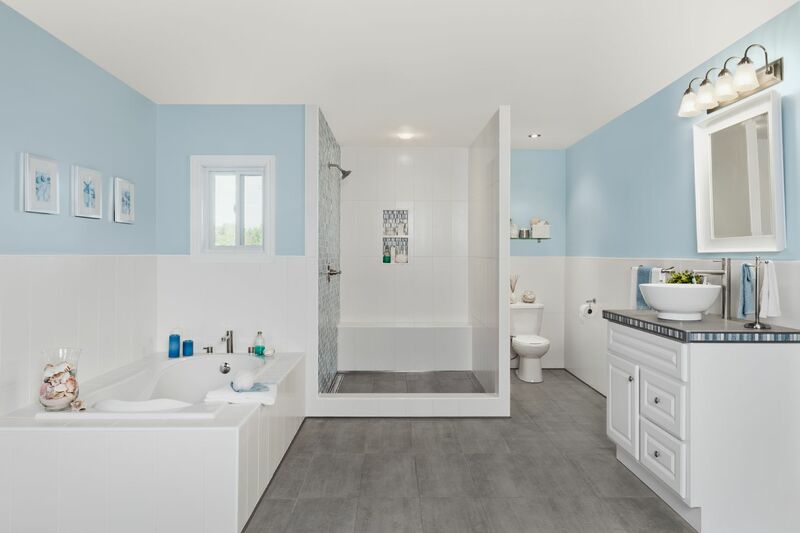 KERDI-LINE linear drain allows for the use of large-format tile on the shower floor, while adding a real touch of elegance. In this shower, the solid brushed stainless steel model is used, creating a sleek, modern design. 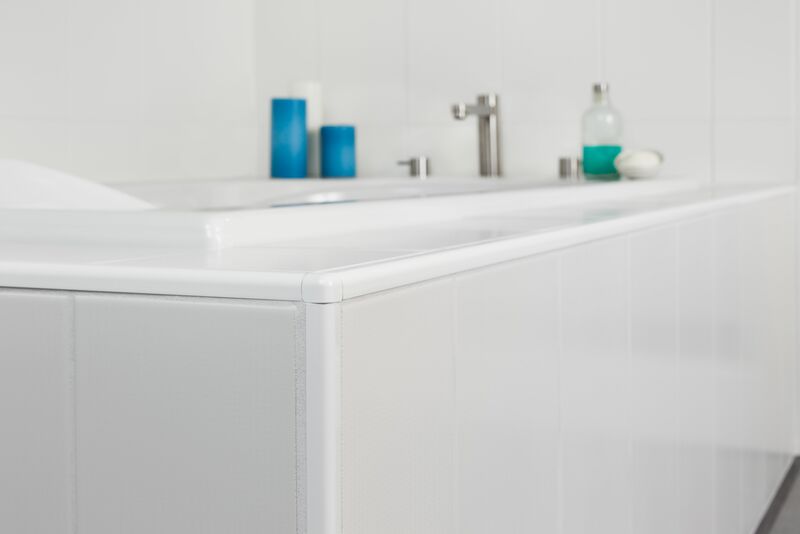 RONDEC bullnose profile in bright white is the perfect match to this glossy white tile, creating a fresh, seamless look. 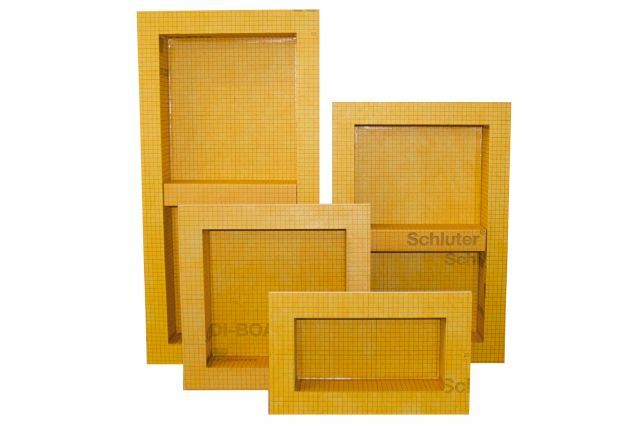 Matching corners avoid the need for miter cuts and create a smooth, clean finish. 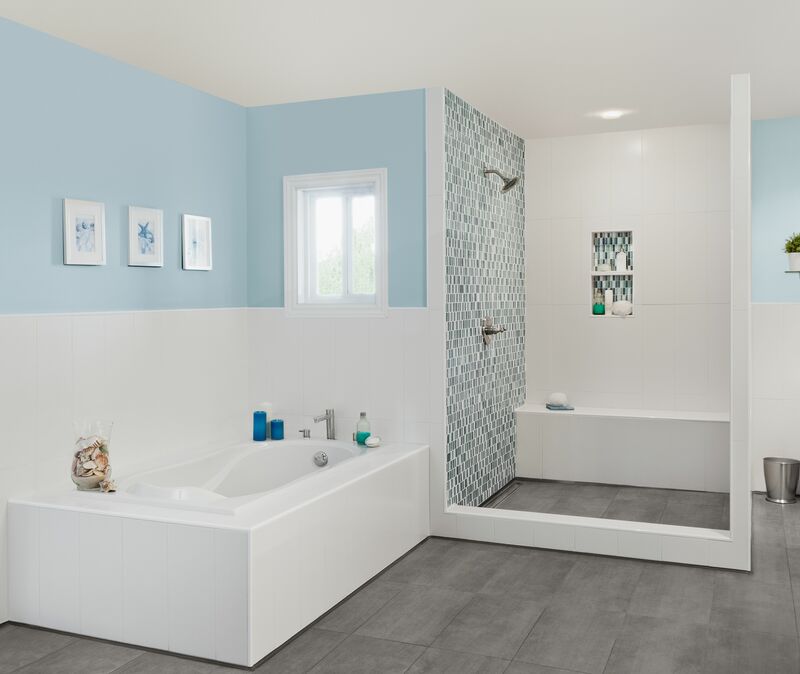 KERDI-BOARD is used in this bathroom to create this custom tub surround that allows the same tile to be carried through from the wall right to the tub deck. RONDEC bullnose profile and matching corners used to finish the tile edges on the walls and tub surround. DILEX-AHK cove-shaped profile used to create a smooth transition between the walls and floor. RONDEC bullnose profile and matching corners used to finish the tile edges on the walls, tub surround, shower bench, and to trim the shower niche. 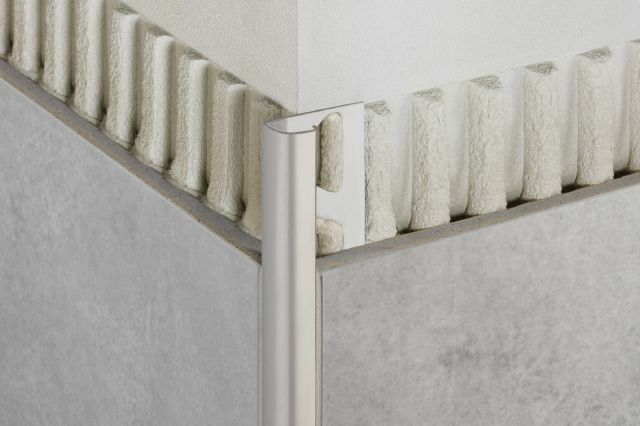 RONDEC-CT double-rail edging profile applied to the sink rail. 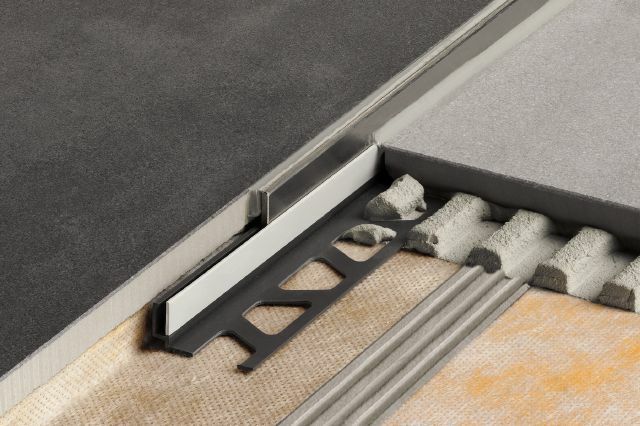 DILEX-AHK cove-shaped profile used to create a smooth transition between the walls and floor. 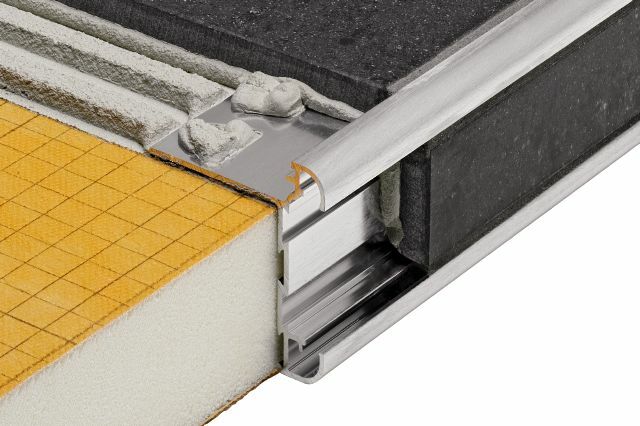 SHOWERPROFILE-S system profile eliminates the need to cut the wall tile to match the slope of the shower base, and allows for an easy installation of the first course of tile along the top edge of the profile. 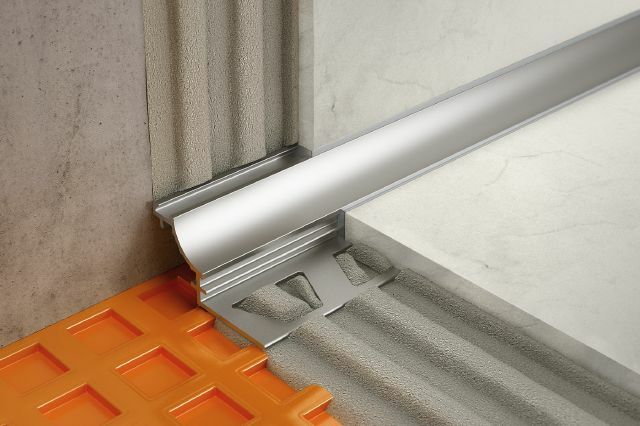 KERDI-LINE linear drain allows for the use of large-format tile on the shower floor. 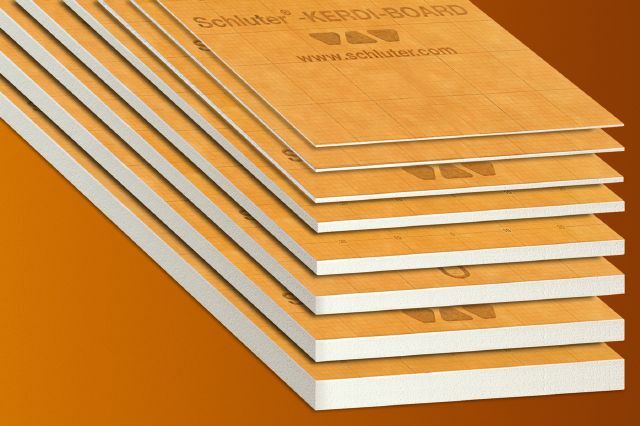 KERDI-BOARD building panels are light and the perfect backing for a waterproof shower or custom built tub deck. 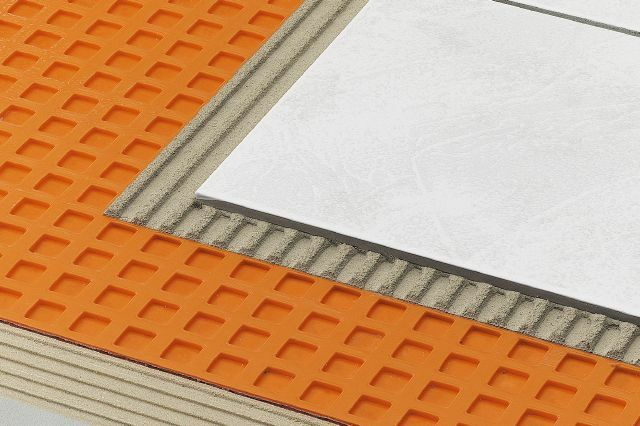 DITRA is used as the flooring substrate, providing uncoupling and waterproof protection to the tiled floor. RONDEC bullnose profile used to finish the tile edges on the wall. RONDEC-CT double-rail edging profile applied to the sink rail, incorporating a nice colorful splash that ties in nicely with the shower wall.